Architectural Specialties - D.V. Brown & Associates, Inc. Architectural Specialties - D.V. Brown & Associates, Inc.
D.V. 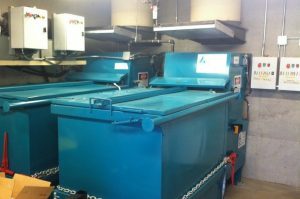 Brown & Associates, Inc. (“DVB”) offers a wide range of high-quality linen, recycling and trash chutes, as well as trash compactors and bag packers. We also have the experience and willingness to customize our equipment to solve the most difficult solutions. D.V. 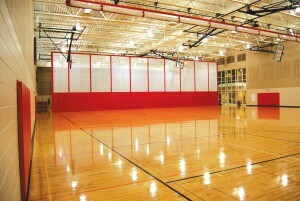 Brown Associates, Inc. (“DVB”) offers a wide range of gymnasium equipment; from basketball backstops, divider curtains, to wall pads, DV Brown will work with you to customize the colors and design! D.V. Brown & Associates, Inc. (“DVB”) is committed to quality and excellence in space division. 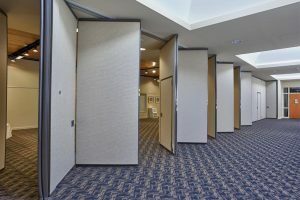 From commercial and residential to institutional and industrial, our moveable wall systems have been used in space management for over 20 years.